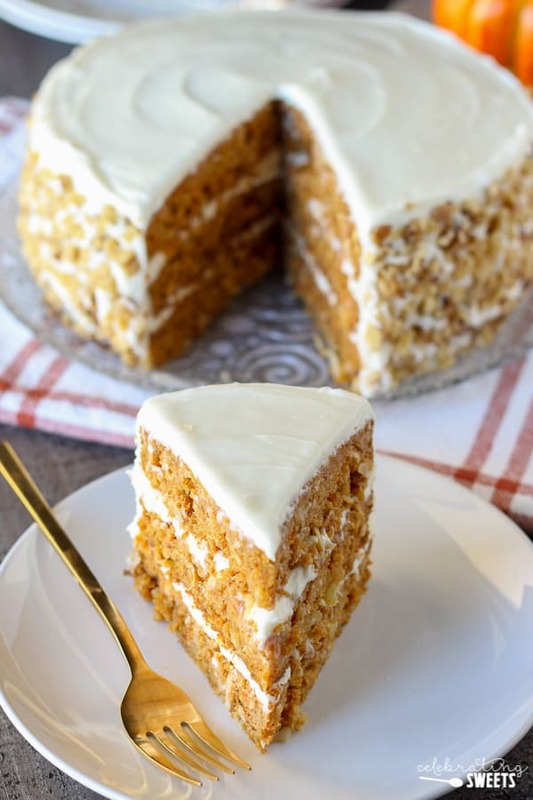 A combination of pumpkin cake and carrot cake; a moist and flavorful layer cake filled with carrots, pumpkin, and warm spices and finished with tangy cream cheese frosting. A beautiful dessert for Thanksgiving or any fall occasion. Is it safe to say that the holiday season is upon us? Halloween is in a week and after that there’s no turning back. 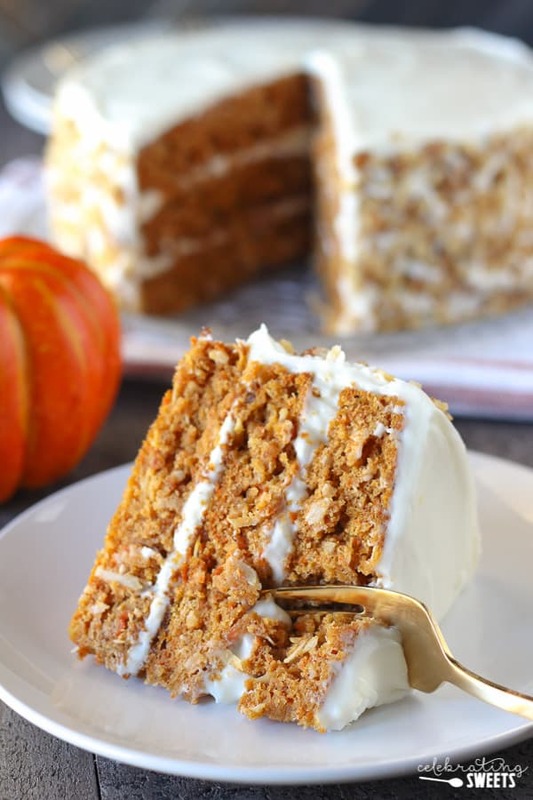 This Pumpkin Carrot Cake has been part of our Thanksgiving dessert spread for the last several years and this year will be no exception. 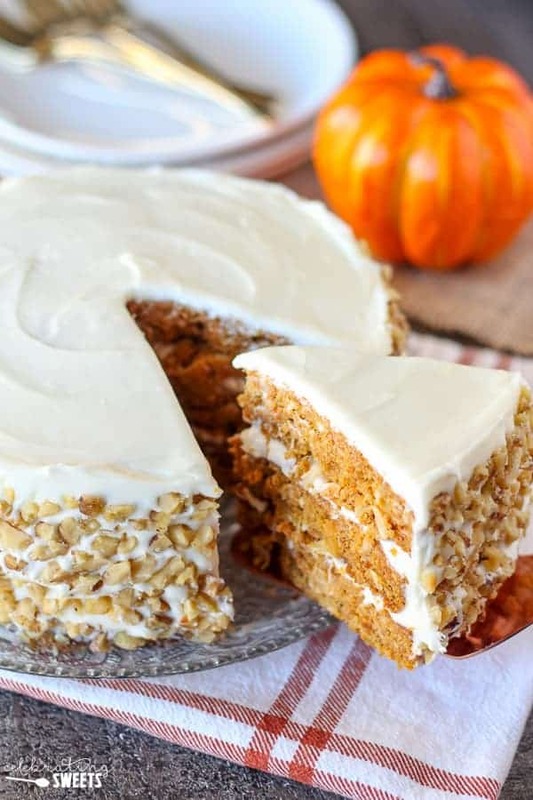 When I think of this cake I automatically think “Thanksgiving”, but, there’s no reason something this good should only be served on a special occasion. Which is why on a random, cloudy Sunday in October I made this triple layer, fall scented, cream cheese smothered cake for no reason at all. Yes, you read that right. No reason at all. It was glorious (and a tad indulgent). My family of four ate our fair share of the cake and then I sent the leftovers with my husband to work. It was gone in record time. This cake is always met with rave reviews. What makes this cake so great? 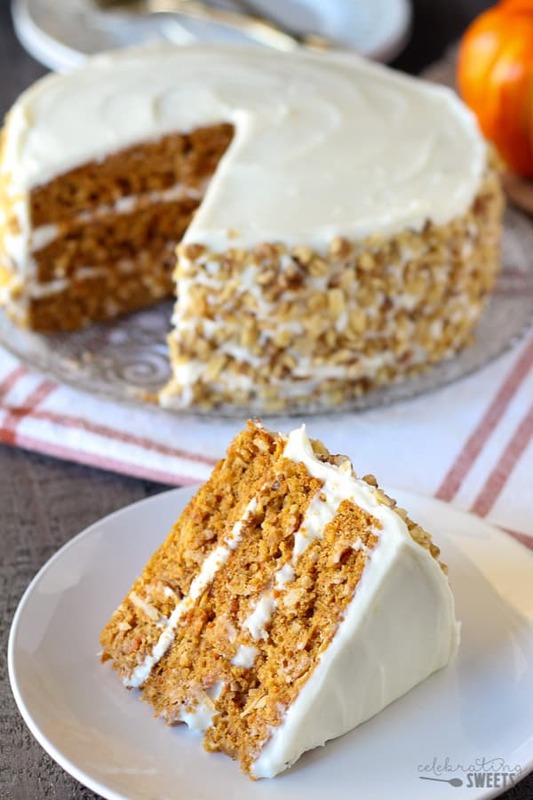 It’s tender and moist from pumpkin puree, crushed pineapple, and buttermilk. Pumpkin pie spice adds warm spices that will remind you of a pumpkin pie. 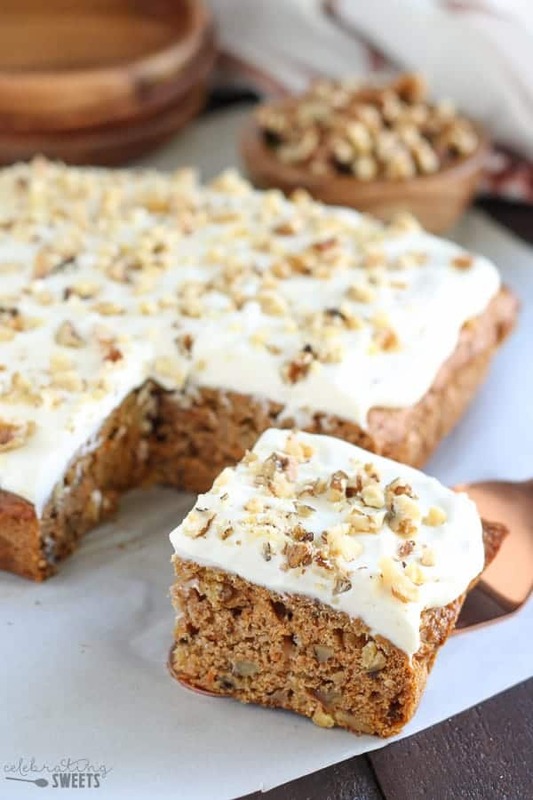 The sweetness of the cake gets balanced by the tangy cream cheese frosting. I covered the outside of the cake in toasted walnuts, which add a great crunch, but feel free to leave them off if you’d prefer. Your guests/family/friends/co-workers/neighbors will devour every last bite of this beautiful cake. So now you have two options: Bookmark this cake for Thanksgiving (or any other holiday celebration) OR just go ahead and bake it right now. 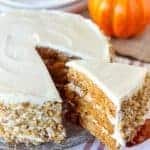 A combination of pumpkin cake and carrot cake - A moist and flavorful layer cake filled with carrots, pumpkin, and warm spices and finished with tangy cream cheese frosting. 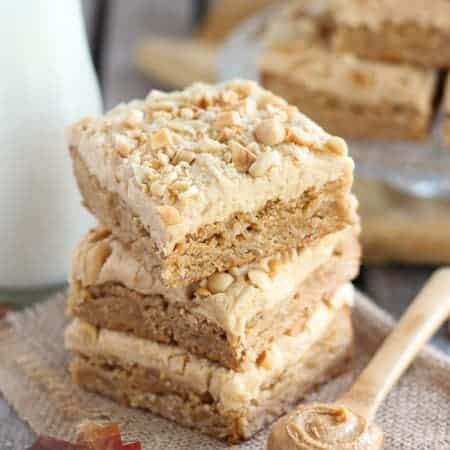 A beautiful dessert for Thanksgiving or any fall occasion. Preheat oven to 350°F. Generously grease two or three 9-inch cake pans, and line the bottoms with a round of parchment. 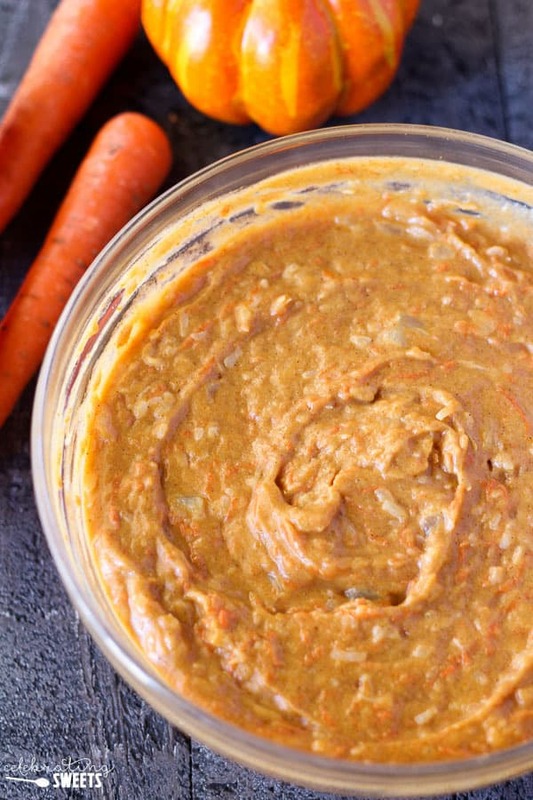 In a large bowl, combine flour, baking soda, pumpkin pie spice, and salt. 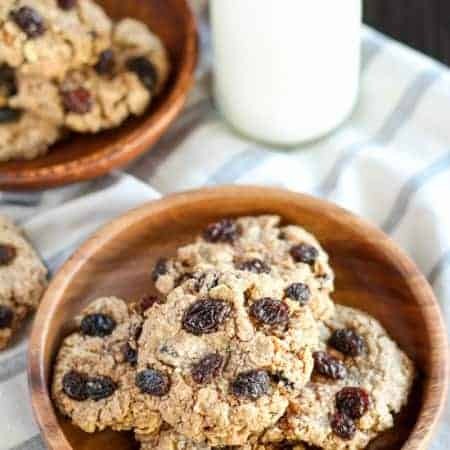 With a hand mixer or stand mixer, beat buttermilk, eggs, pumpkin, sugars, oil, pineapple, carrots, and coconut until well combined. Slowly add flour mixture, beating until the flour is fully incorporated in the wet ingredients. Divide the batter evenly among the prepared pans (see note). 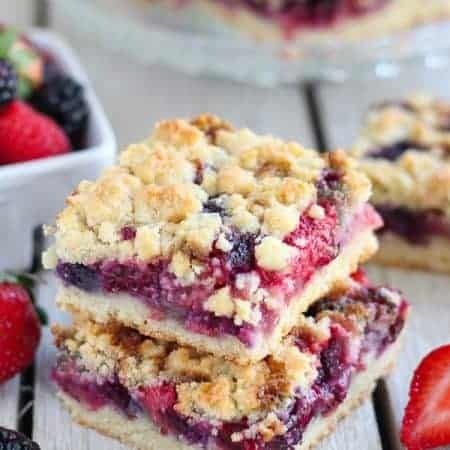 If using two cake pans, bake for approximately 35 minutes. If using three cake pans, bake for 25-28 minutes. The cake is done when a toothpick inserted into the center comes out clean. Transfer the pans to a wire rack to cool completely. 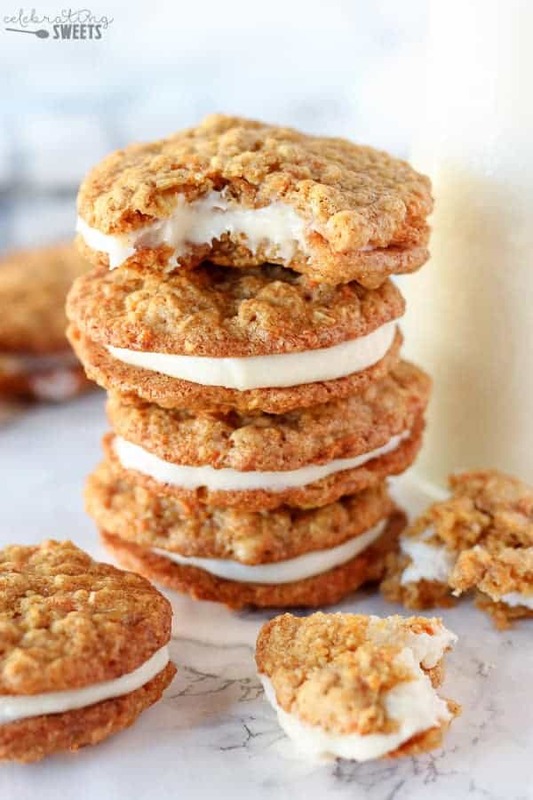 Beat cream cheese, butter, powdered sugar, and vanilla extract for several minutes, until smooth and creamy. Add milk, 1 teaspoon at a time, until the frosting reaches your desired consistency. Using a butter knife or offset spatula, frost the cooled cake. 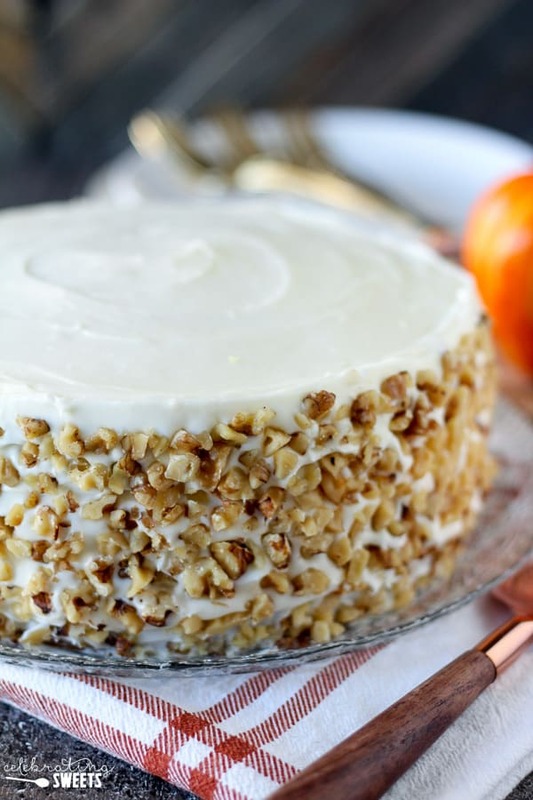 Press chopped walnuts onto the sides of the cake. Transfer to the refrigerator for several hours before serving. This cake is made in 9 inch pans not 8 inch pans (see below). The batter will overflow in 8 inch pans. When placing the batter in the cake pans, make sure that it is evenly divided. To do this, I use a 1 cup measure and scoop the batter into each pan, a cup at a time, until they are evenly filled. Only have 8 inch pans? You can still make this cake, just don't put all the batter into the pans. Fill your pans about halfway full and use any remaining batter to make cupcakes. Adjust cooking time accordingly. I use the medium or fine holes on a box grater to grate the carrots. Because this cake is so moist, I like to store it in the refrigerator. Just wondered if I could leave out the pineapple? My picky family doesn’t like it in cake. Thank you! This looks delicious!